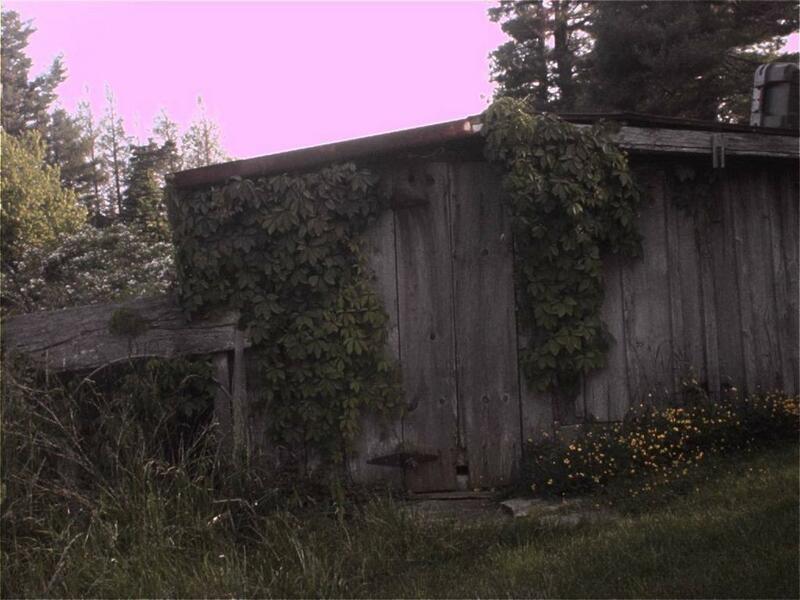 It's hard to see in this picture but this old shed had a beautiful border of buttercups in front of it. 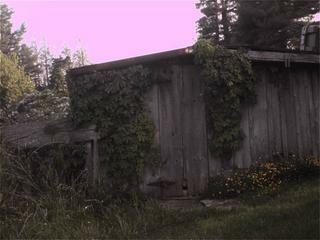 The shed was once my grandfather's workshop. Another quiet day yesterday, busy with bunny chores and paper work. I sheared gorgeous Woolybuns Crystal, relieving her of a heavy coat after her days of raising a nice litter of bunnies. She enjoyed her time outside, although I didn't leave any of them out long yesterday. While it didn't rain much it looked as if it might all day. Crystal had pulled a lot of wool for her litter but she had a nice clip and it was clean with very few matts. Such an angel to shear, too! I walked down to the antique shop, rather than get out the big truck. There is some Queen Anne's Lace blooming along Concord Road, with some other small wildflowers and some coreopsis. I'm not sure if coreopsis is native; there's a lot on the Parkway now. It makes a pretty showing, anyway. The old-style pink roses are blooming now and there is a faint scent that drifts out of the fields of rose and hay. Blackberry vines are covered with tiny berries in graceful arches from the high banks of a neightbor's hedge. I stopped back by my mom's to visit; they had been out of town for a few days. Sounds like they had a lovely trip. She gave me some sweet notecards with my name on them; have to start corresponding again! A little bird had run into a window at their place yesterday. Very sad but since Wendell and I are both scientific minded, we had to examine the corpse and try to identify the species. Then Dad and I ran over to check a friend's computer; we think it's a casualty of yesterday's storm. Nice to visit; they have a gorgeous new cat, a Himalayan with orange tiger striped points and the most amazing eyes. When we drove up runner ducks headed for the pond and the horses raised lazy heads from their grazing. The white dogs ran to greet us and Rhode Island Red hens bobbled through the flower beds as the cats paraded across the porch. Such a pleasant place! Today we're looking forward to a visit from a cousin from Wisconsin. I got her into trouble last night, wanting to make sure she would come out. I called her cell phone number and she was at the library. I'm sure they were not pleased there! Click on my blog before its to late.